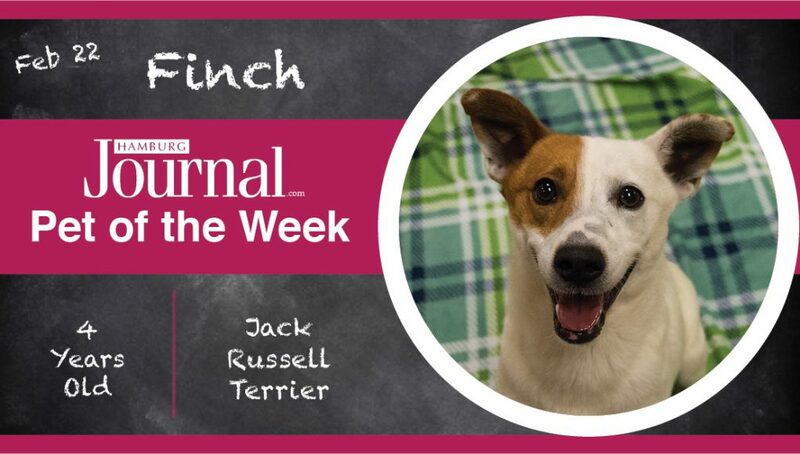 Hamburg Journal’s Pet of the Week for Feb 22, 2018 is a Jack Russell Terrier named Finch. He has white fur with an adorable reddish/brown eyepatch. Be careful, or Captain “Red Eye” might steal yer heart. Arghh! 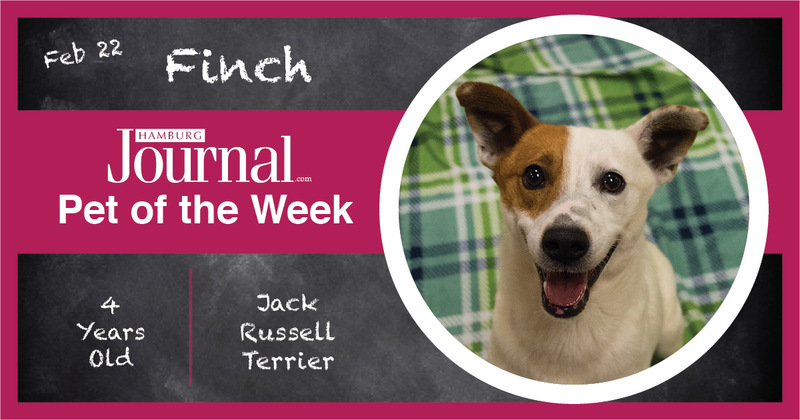 Finch is a little ball of energy and would be great for an active family that enjoys outside activities. Long walks are his favorite pastime. He’s the perfect companion to stroll around the park with. Finch is very jovial – that tail does not stop wagging. He is very charming and great at making new friends. He would be excited to find a home where he can have a brother or sister to play with. 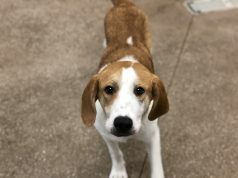 Finch is looking for his forever home. 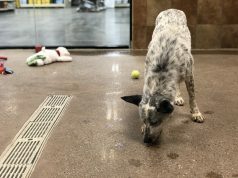 Head over to the Hamburg PetSmart if you’d like to adopt the adorable Captain “Red Eye” today.